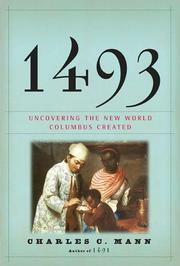 Are you sure you want to remove 1491 from your list? 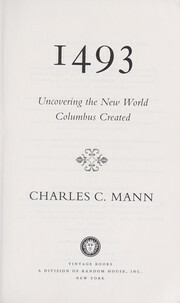 A groundbreaking study that radically alters our understanding of the Americas before the arrival of the Europeans in 1492.Traditionally, Americans learned in school that the ancestors of the people who inhabited the Western Hemisphere at the time of Columbus's landing had crossed the Bering Strait twelve thousand years ago; existed mainly in small, nomadic bands; and lived so lightly on the land that the Americas was, for all practical purposes, still a vast wilderness. 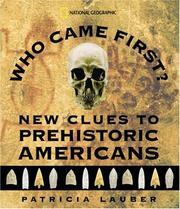 But as Charles C. Mann now makes clear, archaeologists and anthropologists have spent the last thirty years proving these and many other long-held assumptions wrong.In a book that startles and persuades, Mann reveals how a new generation of researchers equipped with novel scientific techniques came to previously unheard-of conclusions. 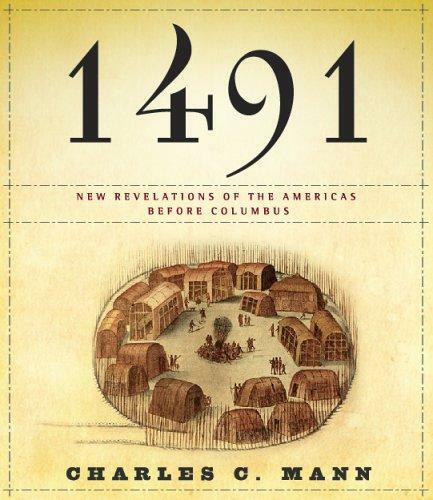 Among them:- In 1491 there were probably more people living in the Americas than in Europe.- Certain cities--such as Tenochtitlan, the Aztec capital--were far greater in population than any contemporary European city. 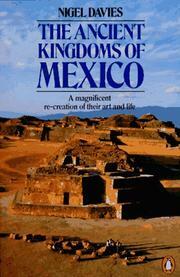 Furthermore, Tenochtitlan, unlike any capital in Europe at that time, had running water, beautiful botanical gardens, and immaculately clean streets.- The earliest cities in the Western Hemisphere were thriving before the Egyptians built the great pyramids.- Pre-Columbian Indians in Mexico developed corn by a breeding process so sophisticated that the journal Science recently described it as "man's first, and perhaps the greatest, feat of genetic engineering. 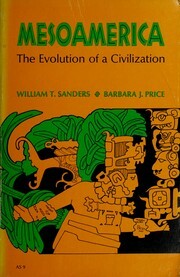 "- Amazonian Indians learned how to farm the rain forest without destroying it--a process scientists are studying today in the hope of regaining this lost knowledge.- Native Americans transformed their land so completely that Europeans arrived in a hemisphere already massively "landscaped" by human beings.Mann sheds clarifying light on the methods used to arrive at these new visions of the pre-Columbian Americas and how they have affected our understanding of our history and our thinking about the environment. His book is an exciting and learned account of scientific inquiry and revelation.From the Hardcover edition.